Sometimes you would like to keep having elements on your page remain displayed one beside another. when a screen width lower then 767px has been reached. 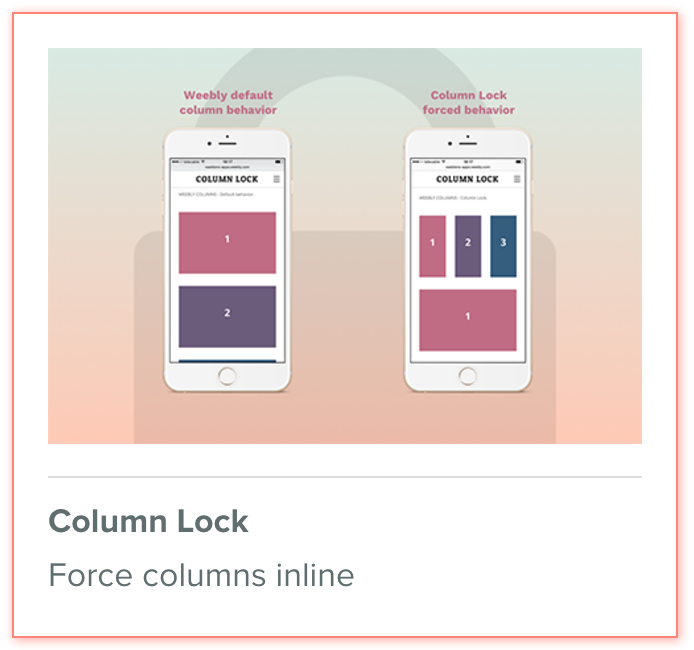 Column Lock overwrites this behaviour and no matter the screen size the elements will remain displayed as columns. This app can be added for free to your website.